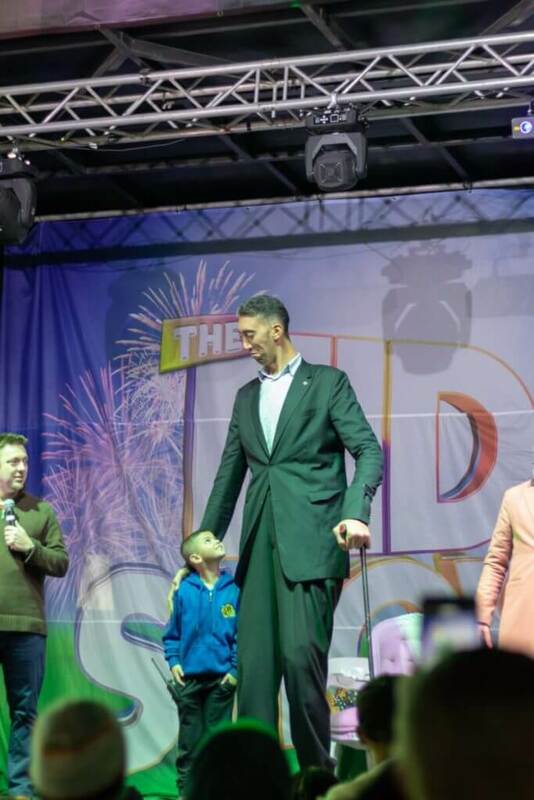 Caption: Human Appeal Eid Show’s special guest, the World's Tallest Man, Sultan Kosen. 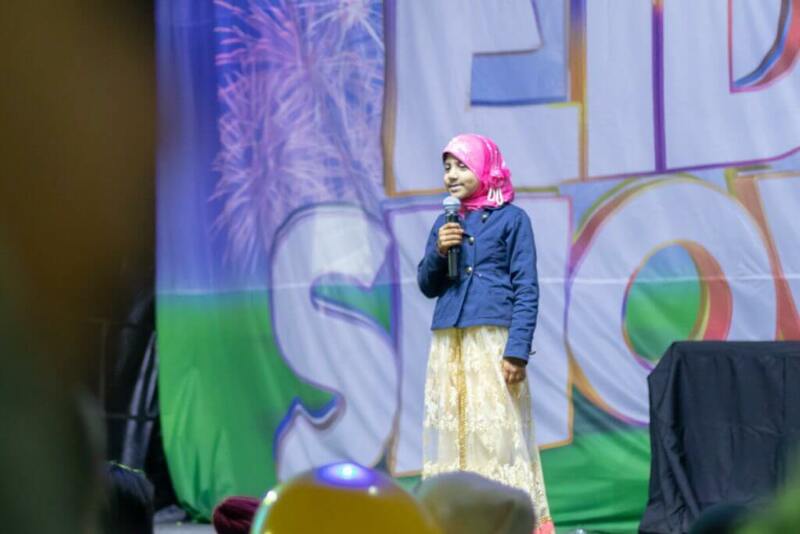 The Eid Show Got Talent 2018 organised by Human Appeal Australia was held on Saturday night 16 June in Bankstown amidst great excitement and fun-filled enjoyment. 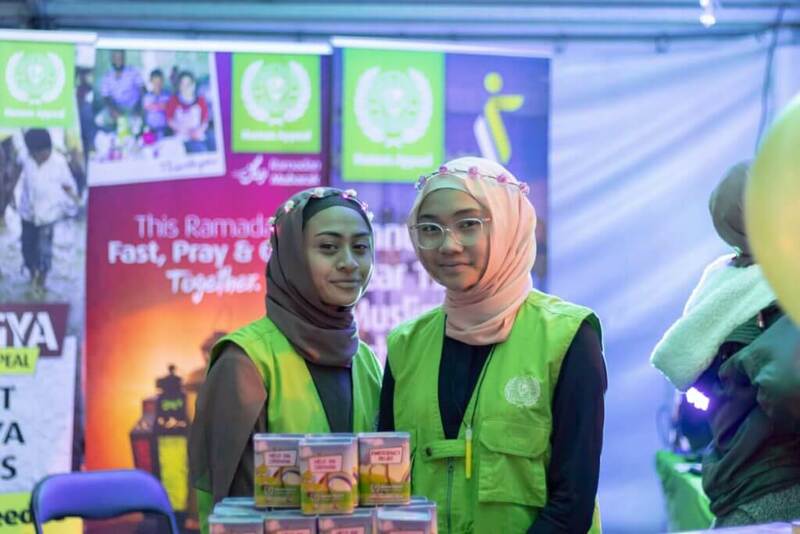 Thousands of visitors came to the annual Eid Show to celebrate the end of the fasting month of Ramadan in a family-friendly environment, enjoying an array of thrilling rides, entertaining stage shows and games, fireworks, delicious street food and fun for all. 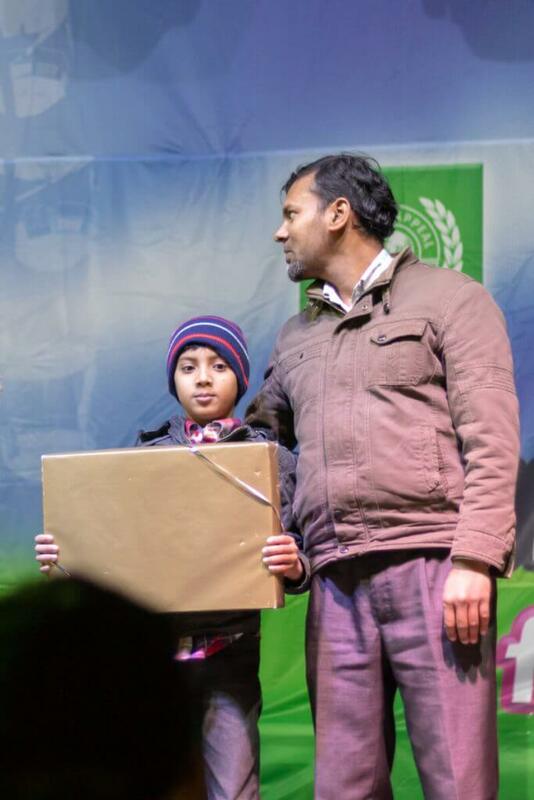 During the Talent Show children performed exceptionally well in front of a large audience. 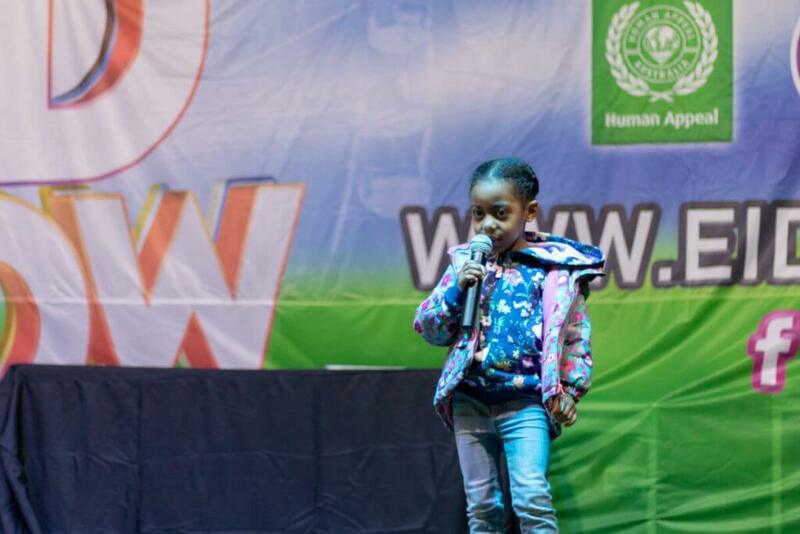 Their live performances revealed the depth of raw talent that exists in the local communities with some bound for stardom. 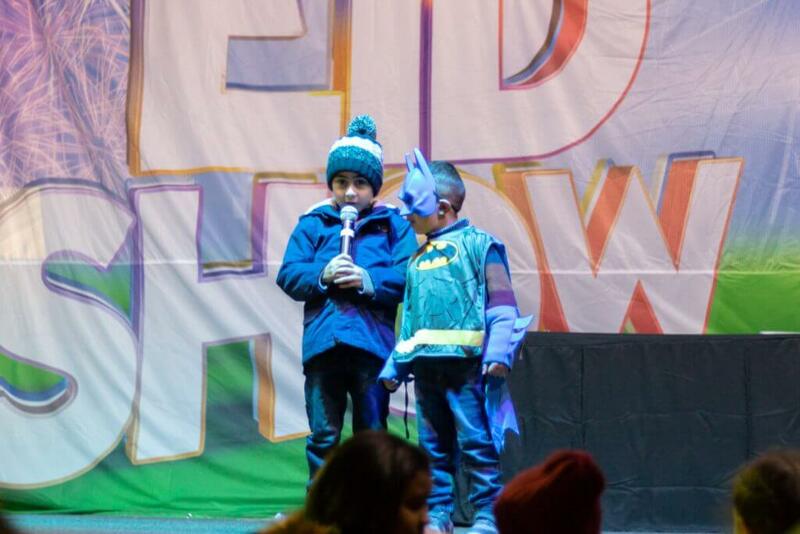 Young Muslims showcased their amazing skills and talents in singing, Quran recitation, poetry, martial arts and other performances. 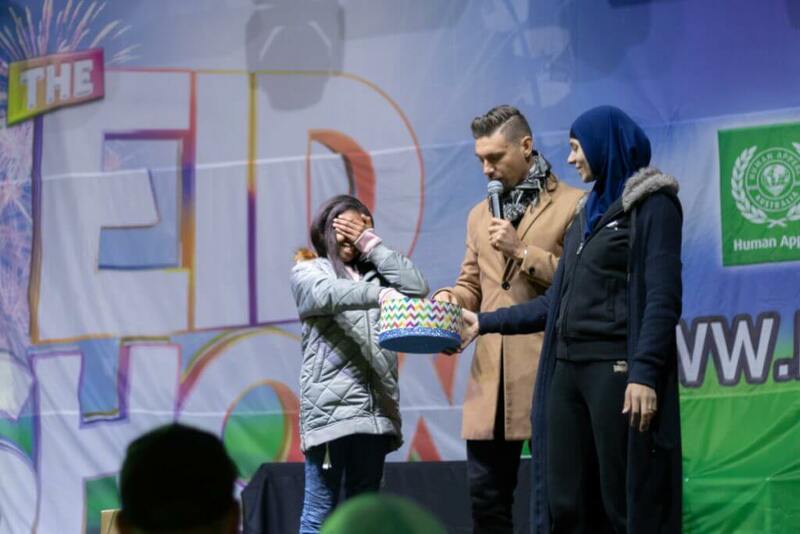 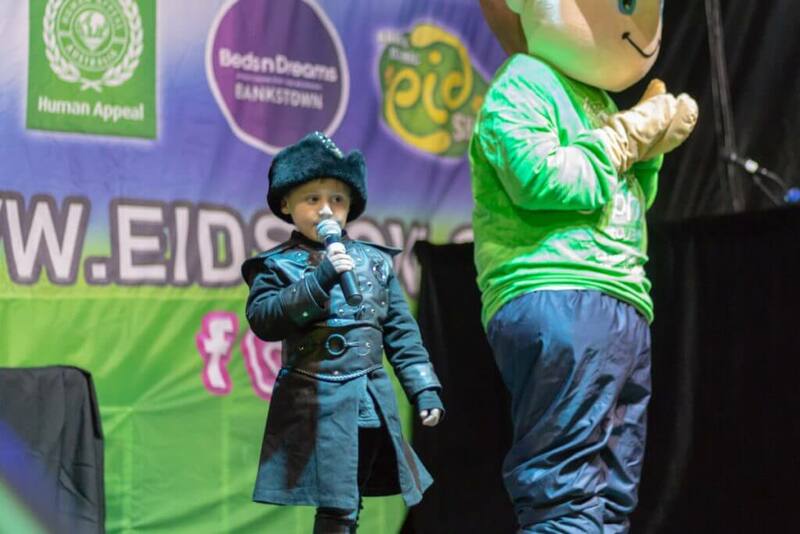 All performers were entered into a prize draw, with nine-year-old Tazkir Islam from Punchbowl announced on stage as the winner of a brand new laptop courtesy of Human Appeal Australia. 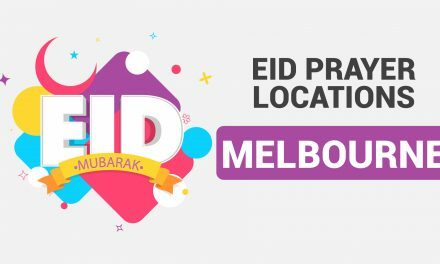 Through its community care division, the charity focusses on activities to help improve the social wellbeing of Australian children in the areas of sports and recreation. 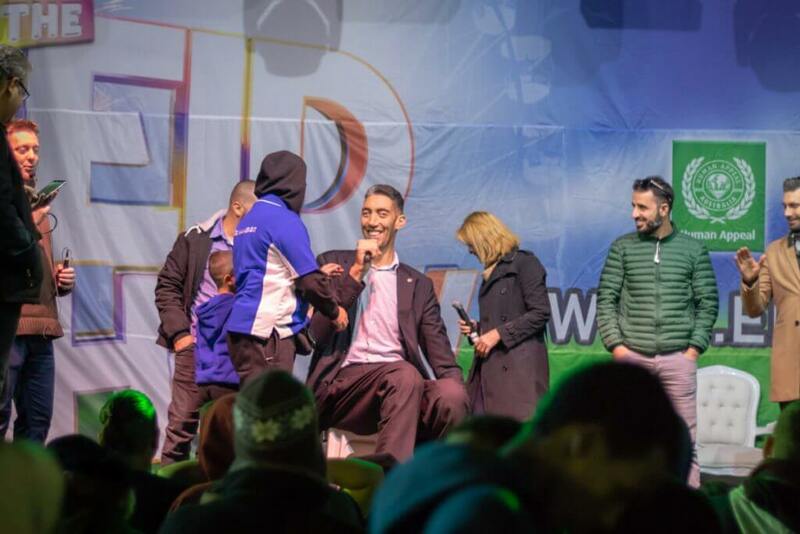 Performers and audience members alike also had the amazing once in a lifetime opportunity to meet the Eid Show’s special guest, the World’s Tallest Man, Sultan Kosen. 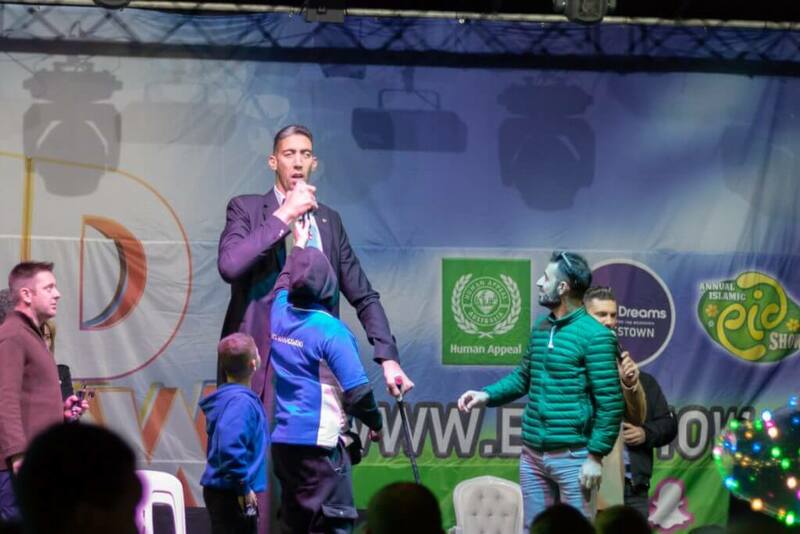 Mr Kosen is a Kurdish Turk farmer who holds the Guinness World Record for the tallest living male at 251 centimetres. 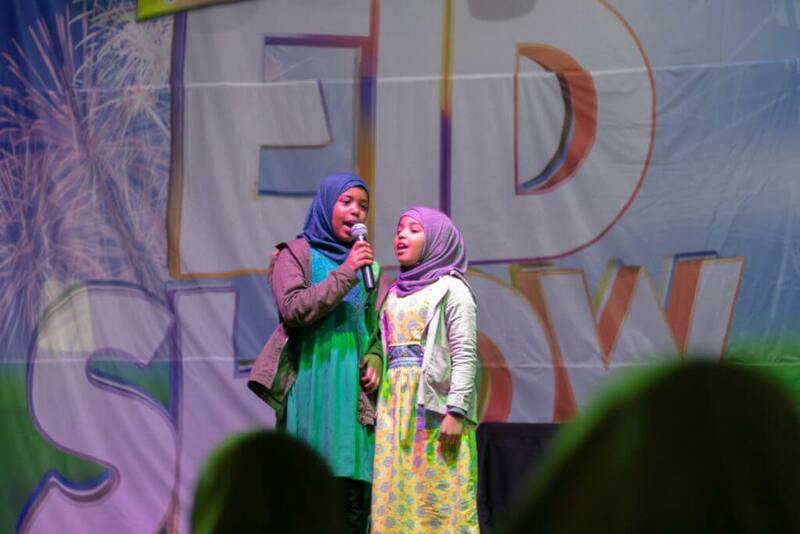 The Eid Show Got Talent 2018 event was surely an evening of entertainment that will be remembered for a long time to come. 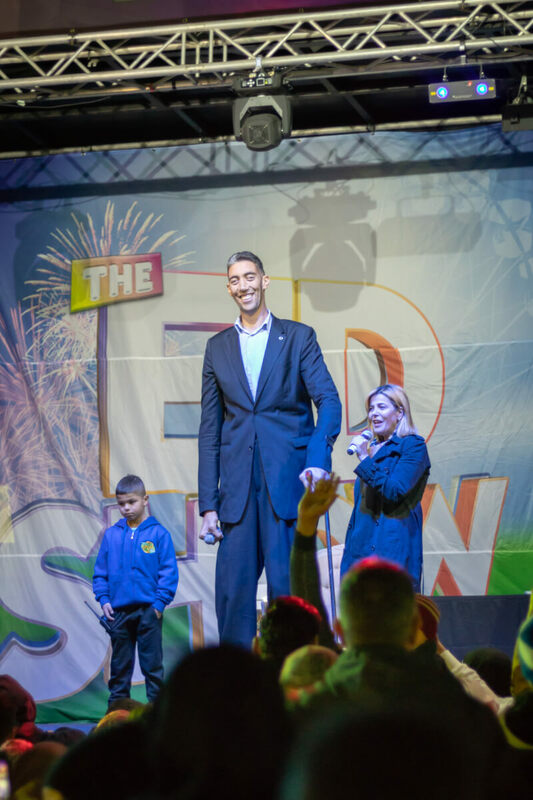 Human Appeal Eid Show’s special guest, the World’s Tallest Man, Sultan Kosen. 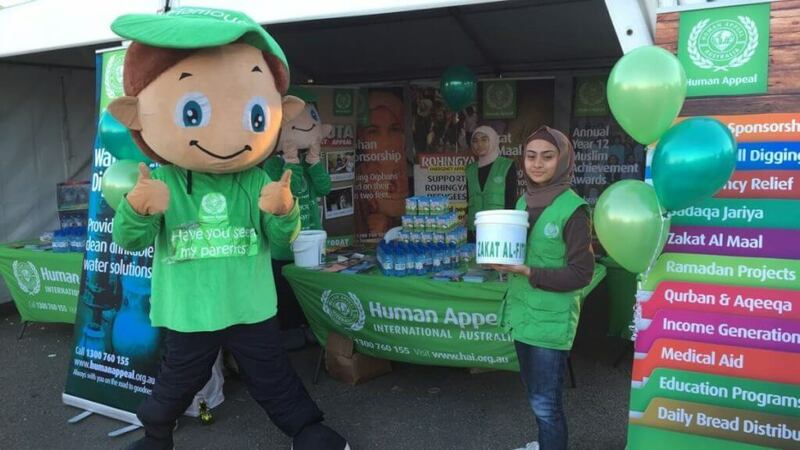 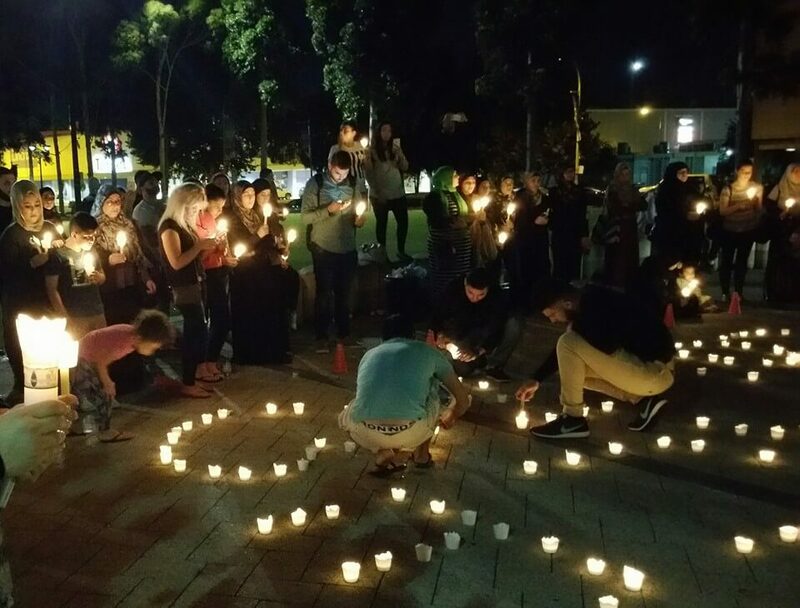 Human Appeal Australia Volunteers Alesha, Afifah and Ahmed Assoum with Sohayb Badaui. 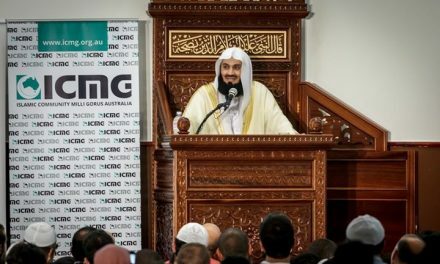 PreviousGlorifying Western Civilisation: What’s the point?